Event highlights: Boca Grove Women's Outreach chaired by Sloane Gillman and Wendie Ploscowe. 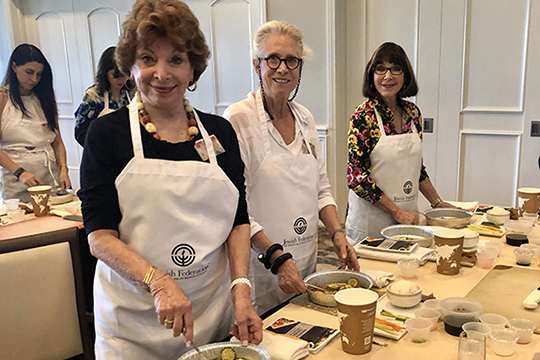 Featuring a Federation overview by Vice President of Campaign Ida Novack and a hands on sushi making class lead by Boca Grove Executive Chef Dominick Laudia. For more information, contact Jessica Epstein Matiash at 561.852.5054 or jessicam@bocafed.org.